Protejează utilizatorii împotriva atacurilor care antivirus pot bloca! THOR PREVIZIUNE Acasă este o amenințare cibernetică de protecție suite, care include 3 straturi de protecție împotriva ransomware, financiare Troieni, furt de date malware și alte amenințări care antivirus nu poate detecta. 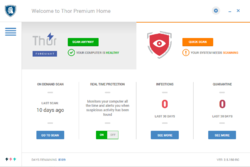 Reactive antivirus caută fișiere și acțiuni, întrucât THOR PREVIZIUNE se uită la trafic. 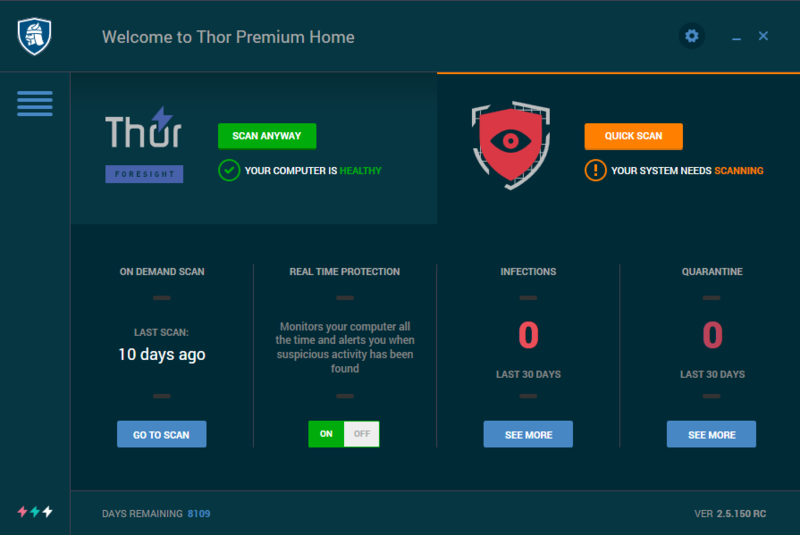 THOR PREVIZIUNE funcționează în mod proactiv pentru a preveni hackeri de la infectarea sistemului dumneavoastră, de a lua date de la PC-ul și se deplasează din rețea. trafic în timp real de scanare– protecție împotriva Zero Hour exploateaza, web periculoase locații, conținutul rău intenționat la site-uri legitime și de infractorii cibernetici atacuri. detectarea și blocarea avansate de atacuri malware– blocuri confidențiale scurgerilor de date și a datelor de ieșire de-a infractorii cibernetici controlate de servere. automată și silențioasă patching– ține de securitate software-ul esențial up-to - data, blocarea peste 85% din atacuri îndreptate împotriva software-ul de aplicații. 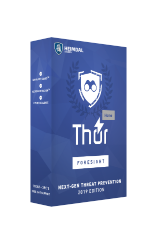 Obține THOR PREMIUM cu 70% Reducere! Notă: programul include o licență de 1 an pentru 1 PC și vine cu suport tehnic gratuit și actualizări. 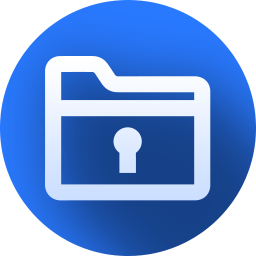 Protect user data and confidential information from all types. This used to be Heimdal Pro. Now it's called Thor Foresight Home. But the installer calls it "Heimdal Thor". The software itself says "Thor Home"
In the software there is a section called "Thor Vigilance" with an option to upgrade to "Thor Premium" which I thought there were only "Home" and "Enterprise" editions, and no premium. What exactly is given away here, and how does this version differ from the Free version? User interface is pure garbage and a confusing mess. the minimize button for example - you have to click the colored line, the 2-3 pixels-tall flat line to minimize the window. Why is there no invisible, active area around this line, like in.. every other software that ever existed? I'm sorry, I'm just so irritated. Other than these, a major difference between Heimdal Pro (given away here long ago) and this whatever its name is, is that you can no longer perform on-demand scans. This used to be Heimdal Pro. Now it's called Thor Foresight Home. But the installer calls it "Heimdal Thor". 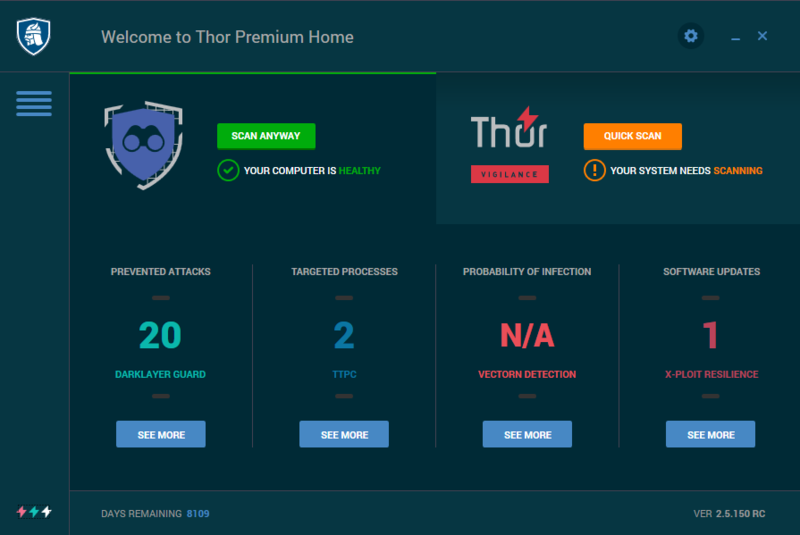 The software itself says "Thor Home" In the software there is a section called "Thor Vigilance" with an option to upgrade to "Thor Premium" which I thought there were only "Home" and "Enterprise" editions, and no premium. What exactly is given away here, and how does this version differ from the Free version? User interface is pure garbage and a confusing mess. the minimize button for example - you have to click the colored line, the 2-3 pixels-tall flat line to minimize the window. Why is there no invisible, active area around this line, like in.. every other software that ever existed? A bunch of confusing names that don't mean anything and aren't explained. TTPC? X-PLOIT RESILIENCE? VECTORN DETECTION? what? Why isn't DARKLAYER GUARD called... "Firewall" or something more obvious? speaking of this feature, when it blocks a connection.. it doesn't tell you what application it's coming from. Fantastic, very helpful.. not... I'm sorry, I'm just so irritated. Other than these, a major difference between Heimdal Pro (given away here long ago) and this whatever its name is, is that you can no longer perform on-demand scans. Careful, once this is on your system good luck using a VPN service. Heimdal has blocked my Windscribe pro VPN for no apparent reason. Support said that because Heimdal uses its own DNS service that it conflicts with VPN services. Not cool so stay away if you use a VPN. Also the program never seems to be able to auto update my adobe reader and vlc programs. Constantly freezes during the process. I bought a lifetime version last year and now regret spending my $60. U guys are aware that this is just another version of Heimdal !? They just redesigned Tweaked it a bit and released it as Thor foresight. Heimdal was never much help protecting my PCs and was more troubled then it was worth ,causing reg errors, system freeze ups and conflicts with software and safe down loads and installs. so i'll skip this offer. Is it compatible with other anti-virus programs? I'd probably say yes, as this monitors traffic, not file access. Most anti-virus applications monitor file access, and checks that xyz.exe you're about to run doesn't contain a virus. This program monitors the network traffic instead, and identifies what is being sent and received. The only issue I can see is that if rogueProgram.exe tries to communicate to hacker.com via a secure link, then this program won't be able to monitor the traffic, as it'll be encrypted. Also, the most common threat now is phishing emails - 'please log into this site to do xyz' and now the hackers have your email login details. Once they have those, they have access to all your online accounts. I'd probably say yes, as this monitors traffic, not file access. Most anti-virus applications monitor file access, and checks that xyz.exe you're about to run doesn't contain a virus. This program monitors the network traffic instead, and identifies what is being sent and received. The only issue I can see is that if rogueProgram.exe tries to communicate to hacker.com via a secure link, then this program won't be able to monitor the traffic, as it'll be encrypted. Also, the most common threat now is phishing emails - 'please log into this site to do xyz' and now the hackers have your email login details. Once they have those, they have access to all your online accounts. One of the better, if not the best program in this category. What "category", and why is this "better", and better than what?
. [ Irek ], What "category", and why is this "better", and better than what? Thanks. . The most innovative and realistic life simulator ever created. Tricky 6 is a strategy board game for 2 to 4 players. The game consists of 6 different colored tiles printed with the numbers 1 to 6. PirTie is a visual that is similar to tie die. It uses simplistic math mapped smoothly onto a sphere.